Jet skiing in Put-in-Bay can be a wonderful way to enjoy the sights and see our little part of beautiful Lake Erie. Call for special "Early Bird" discounts on rates and tours! Kids ride free with paid adult. There are half-hour, full hour, and jet ski tour rates offered. 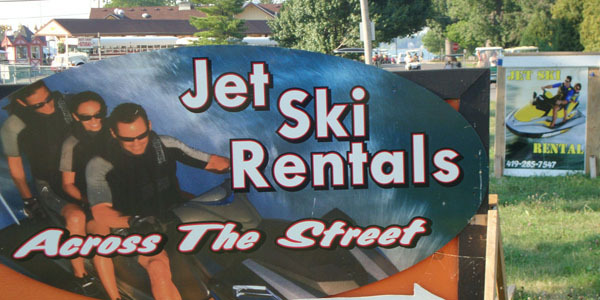 The closest jet ski rental to downtown Put in Bay, within walking distance of all the main hotels!